Intaglio. A lion, facing left. 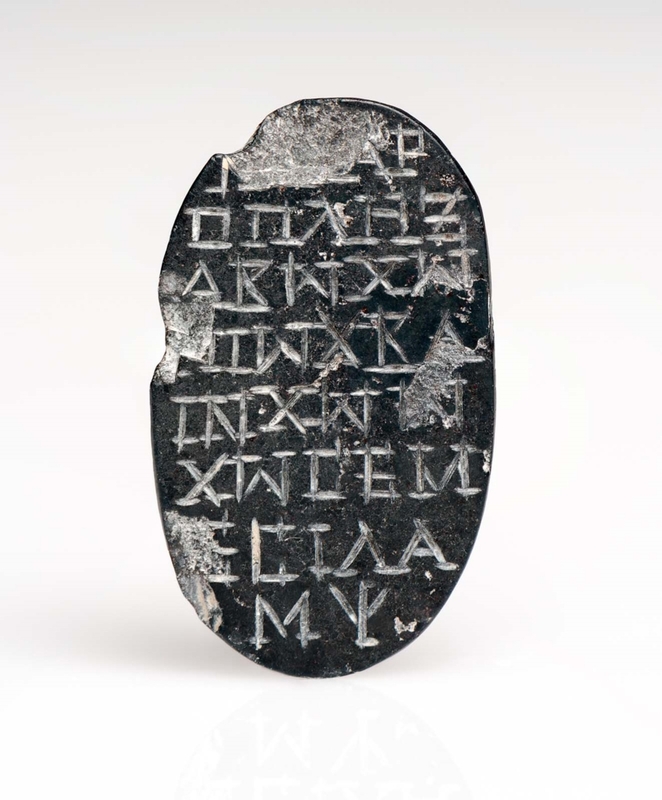 There are three lines of Greek inscription above and below. 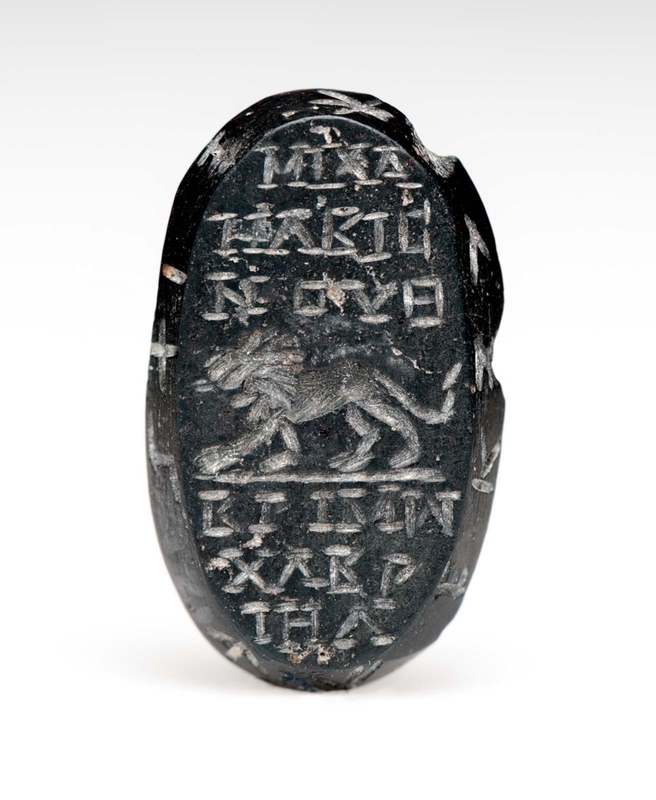 The reverse bears eight lines of Greek inscription, and there are several characters and some Greek letters around the bevel.